Thursday, Apr. 4, 2019, 4 – 5:30 p.m. 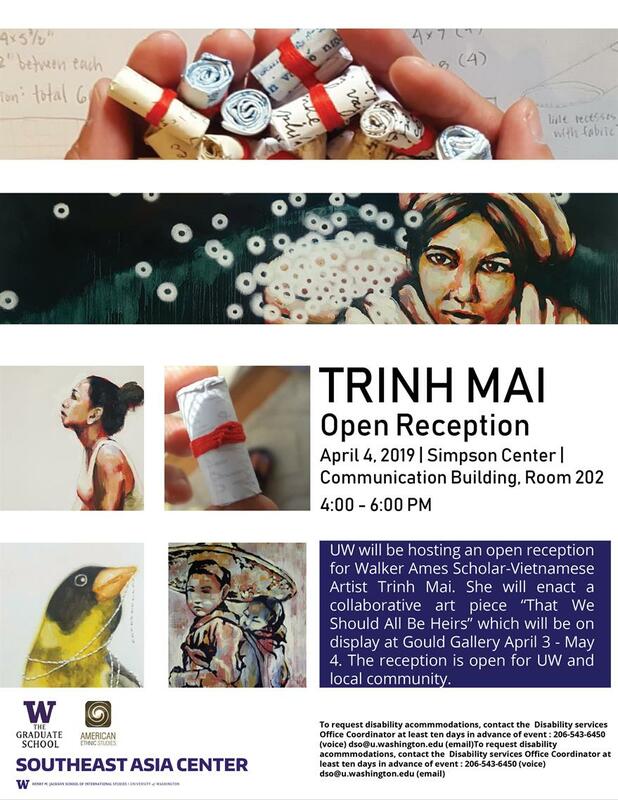 This reception is for Walker-Ames Scholar and Artist Trinh Mai.